From 1927-32 Heerup studied painting at the Royal Danish Academy of Fine Arts under Axel Jørgensen and Einar Nielsen, where he also was briefly acquainted with training in the art of sculpture at the academy’s school of sculpture. But Heerup’s teacher, Einar Utzon-Frank, did not feel that Heerup had the required talent for sculpture, as Heerup cut figures out of clay instead of modelling a figure like the others. Ironically though it was as sculptor that Heerup actually first became famous. Heerup carved strange figures and creatures in e.g. granite and marble and painted them in bright colours, in style with the ancient Roman stonemasons. Think also of e.g. the Jelling rune stones. Like every other child, Henry Heerup was highly productive with pencil and crayon. However, unlike most, he never came to put them down. In his youth, Heerup entered into apprenticeships as stonemason, sign writer, bronze founder as well as lithographer; trainings that all had great significance in Heerup’s artistic career as an adult. Heerup attracted a great deal of attention in artistic circles, as on his daily cycle tours Heerup collected scrap – broken toys, wheels, tin cans, half signs – which he composed into to quirky and fabulous figures. With stone sculptures and his scrap figures Heerup exhibited together with Ejler Bille at the abstract/surrealist group Linien’s exhibition in 1934 as well as at the CoBrA exhibitions in Amsterdam in 1949 and in Liege in 1952. Heerup joined the CoBrA movement, with artists as prominent as Carl-Henning Pedersen, Asger Jorn, Egill Jacobsen, etc among its members. His great popular breakthrough however first came with his graphics and painting. Heerup started as naturalist, but ended in a universe of symbolism entirely his own, where surfaces and contours played the leading role together with colour and its symbolic meaning. 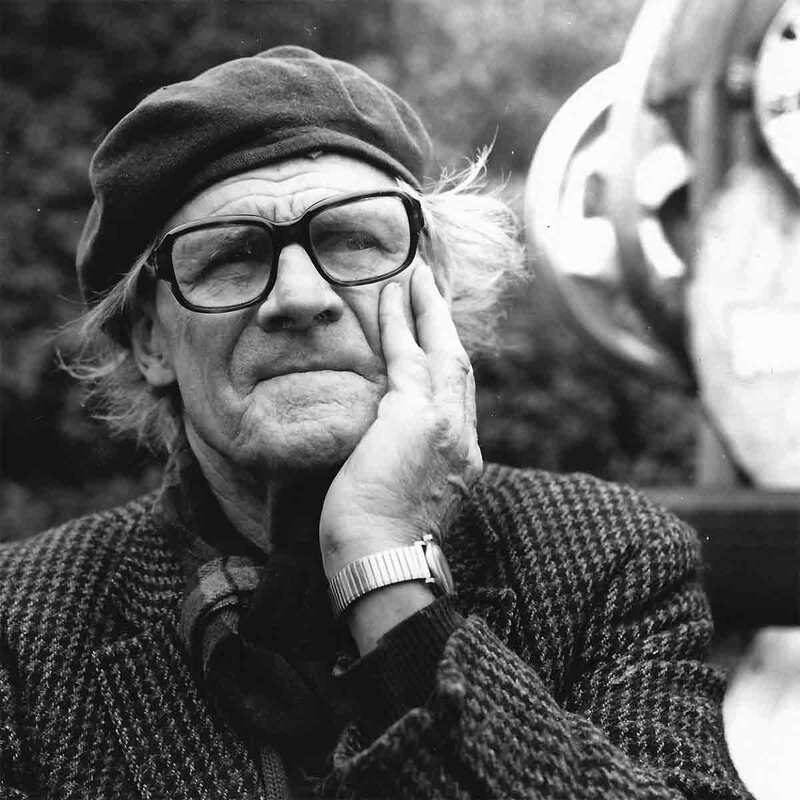 Henry Heerup became one of Denmark’s great artistic narrators of the 20th century. His stories always had their roots close by: in everyday life, love, sexuality, women, family and not least the daily cycle tour that came to be Heerup’s trademark. There were also the gnome figures, which represented one of Heerup’s favourite autobiographical roles. Heerup’s imagery is fertile, fabulous and full of life, but on a symbolic level Heerup deals with life’s great questions such as life and death. Motif and style are often childlike, naive and humoristic, but a gravity lurks behind the facade. In 1933 Henry Heerup exhibited for the first time at the Artists’ Autumn Exhibition and since in a long success ion of exhibitions, e.g. the Biennale in Venice, as guest at Linien’s exhibition, at Grønningen’s exhibition, and with the Koloristerne, exhibitions at Charlottenborg, the Artists’ Easter Exhibition in Aarhus, at Kunstforeningen Gl. Strand in Copenhagen, a number of times at Galerie Moderne and of course often internationally, e.g. the World Fair in New York and MOMA. Henry Heerup was a member of Corner, Høst, and Decembristerne and, as mentioned above, the CoBrA movement. Heerup was bestowed with the Order of Dannebrog, has been awarded the Eckersberg medal, the Thorvaldsens medal, Kai Nielsen’s memorial grant and Statens Livsvarige Hædersgave, and was appointed honorary member of the association, Danske Grafikere. Heerup died, after a long life in the name of art, in 1993, and lies buried in Assistens Kirkegaard in Copenhagen.